I’m not sure if you’re already aware of a USB flash drive that can work with both Apple iOS and Windows. A Taiwanese company named PhotoFast has developed the i-FlashDrive, a unique USB flash drive with a 30-pin connector on the other end for all your Apple devices. 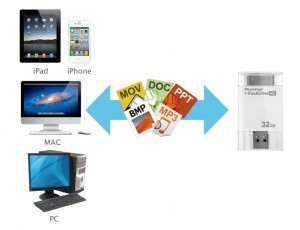 The i-FlashDrive is the simplest and most convenient way of transferring files between a PC or Mac and an iDevices. This is especially useful when storing files that do not need to go through iTunes. The i-FlashDrive is the only two-way USB storage device that is designed with an Apple approved 30-pin dock connector that is compatible for use with iOS devices or iDevices. When not connected to an iDevice, it can simply be plugged into any PC or Mac computer and function like a typical flash drive where you can copy documents, images, videos and other data onto it. 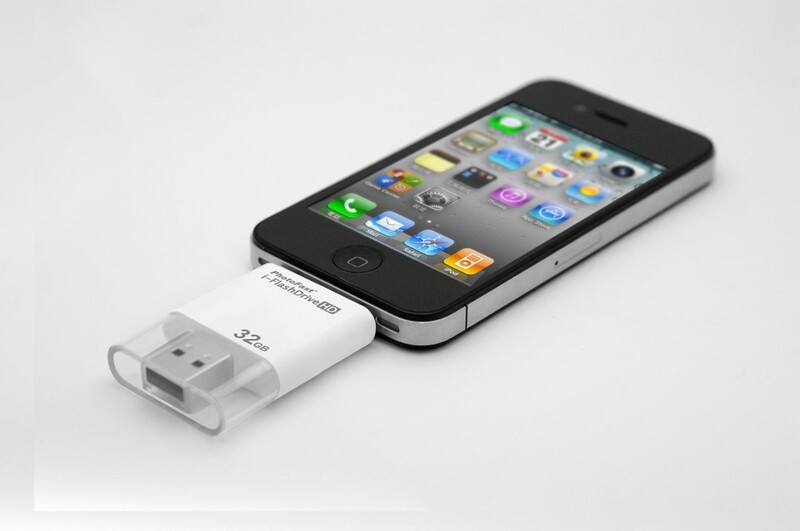 When plugged into your iOS device, a free i-FlashDrive iOS app available from iTunes is required to be able to access and manage the contents of the i-FlashDrive. Unfortunately, only certain videos file formats are supported – they have to be in the h.264 codec. The i-FlashDrive app allows users to download files from the drive directly onto your device; however, it is not possible to do it the other way around. Transfer of files from device to the drive is not supported by the i-FlashDrive. 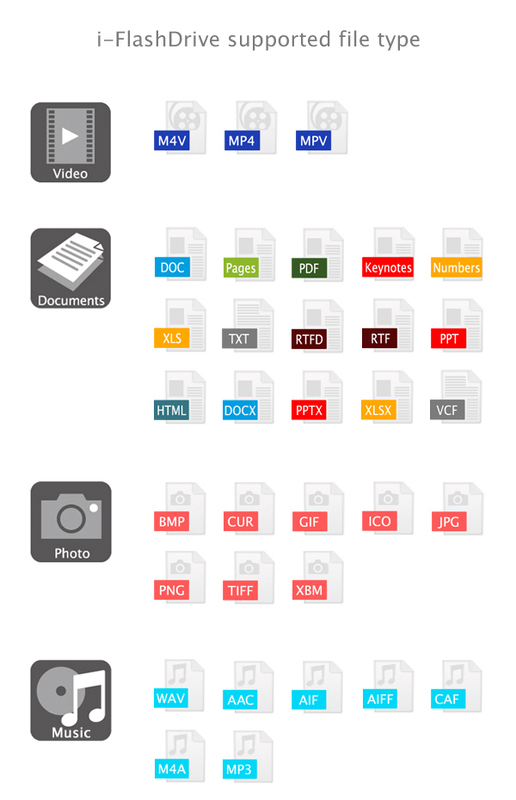 Files can also be synced from the drive onto Dropbox with the use of the app. Also, the app allows users to back up contacts to the drive. The i-FlashDrive runs on a USB 2.0 interface and offers three storage capacity options, 8GB, 16GB, and 32 GB. Transfer rates are at 10MB/sec at USB and 100KB/s at iDevices. The device is compatible with all Windows OS and Mac OS X, and can be used for iPod Touch 4G, iPhone 4, iPhone 4S, iPad 2, and also for iPhone 3GS and iPod Touch 3G running on iOS 5. The PhotoFast i-FlashDrive sells for $100, $150, and $200 for the 8GB, 16GB, and 32GB versions, respectively. Although a bit pricey, this device is a handy tool for transfer and storage of data from your iOS device to your PC / Mac or even to another iOS device. This entry was posted in Apple, Articles, iFlashDrive, iPad, iPhone and tagged i-FlashDrive, i-FlashDrive iOS app, i-FlashDrive USB, iDevices, iOS device, PhotoFast i-FlashDrive, two-way USB storage device. Bookmark the permalink.